Experience our “Chicago 101” tour which offers you all of the City’s most popular attractions rolled into one memorable activity. 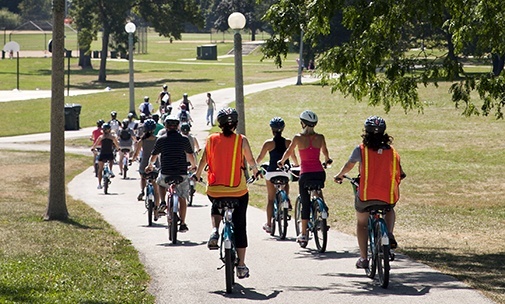 This Chicago bike tour includes our most popular parks, fountains, attractions, and lakefront museums! All ages and abilities are welcome! 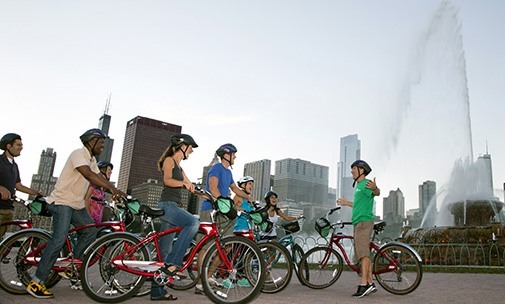 On this guided Chicago bike tour, you’ll witness breathtaking skyline views and epic monuments. Over the course of a leisurely two and a half hours, you’ll explore the stunning lakefront trail, stopping at various world-famous sites along the way. This family friendly tour has something to offer the whole family; rich with history, photo opportunities, and two-wheeled fun! 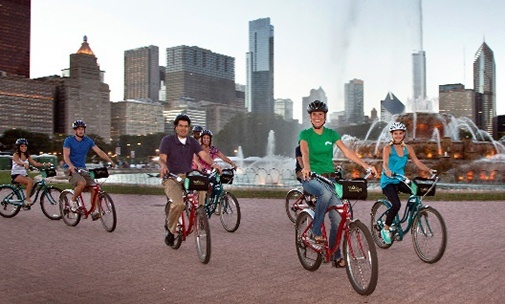 Our Chicago’s ‘Greatest Hits’ bicycle tour is the perfect way to see the incredible natural and man-made beauty that the Windy City has to offer! 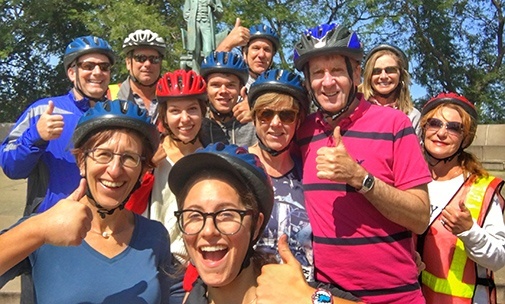 The tour begins at the Bobby’s Bike Hike headquarters in Streeterville, where you’ll meet your fun-loving and enthusiastic guide and your ready-to-ride Bobby’s bicycle! Offered at both 9:30 am and 6 pm, this tour can be the perfect morning ride or a blissful sunset sensation. The journey kicks off with a beautiful lakefront ride past Navy Pier, over the Chicago River. With a stunning skyline backdrop, your guide will introduce you to the city and its rich history before leading the group into Millennium Park. 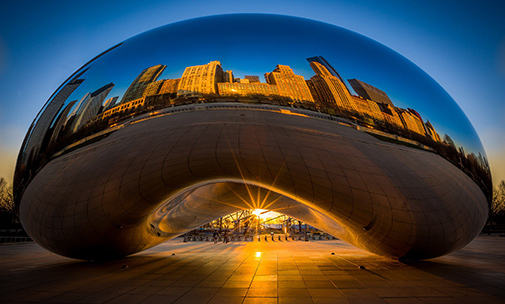 Millennium Park is home to some of Chicago’s most iconic public sculptures and community spaces including Cloud Gate, better known as “The Bean,” The Crown Fountain, and the Frank Gehry-designed Pritzker Pavilion. Millennium Park comprises the northwest corner of larger Grant Park, home of Chicago’s biggest food, music, and culture festivals. Your guide will lead you right up the dancing waters of Buckingham Fountain, which was the largest fountain in the world at the time of its construction. 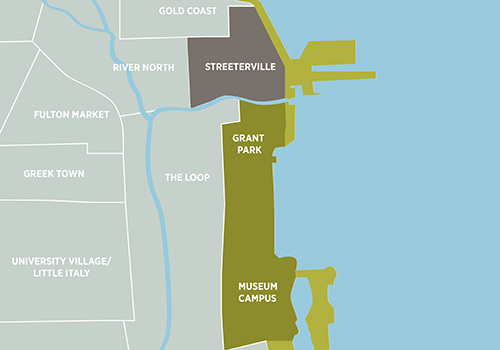 From there, the group will head south to Museum Campus, the one-of-a-kind park built to house the Field Museum, Shedd Aquarium, and Adler Planetarium. You’ll see these unbelievable feats of architecture up close and personal, before biking over for a peek at mythical Soldier Field, home of the Chicago Bears. Depending on whether or not there is an event taking place in the park, the tour will enter Northerly Island next. The “island” is actually a peninsula, opened to the public as a nature preserve in 2015. Somehow, Northerly Island manages to pair amazing skyline views with the total serenity of nature. After that, your crew will get a peek at 12th Street Beach, one of Chicago’s numerous sandy swim spots, before stopping for the best skyline view in all of Chicago. Here, you’ll see why the ‘Greatest Hits’ is our most-heavily Instagrammed tour! 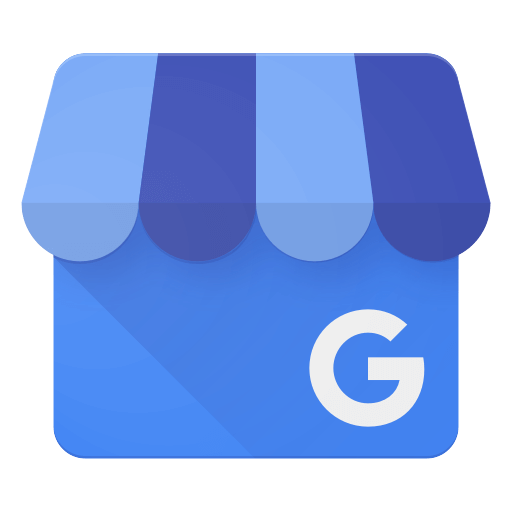 Before heading back to the shop, you’ll get a peak at the world famous Navy Pier, as well as Chicago’s latest achievement in waterfront parks, the Chicago Riverwalk. No trip to Chicago is complete without a stop at these legendary attractions. On the way back to Bobby’s, the tour will cruise the historic Lakefront Trail, enjoying views of Lake Michigan sailboats and yacht clubs along the way. You’ll be a part of Chicago’s vibrant bicycle community and learn why we are repeatedly chosen as the world’s best city for biking. The tour concludes back at the Bobby’s Bike Hike headquarters after two and a half hours and five miles of fun! 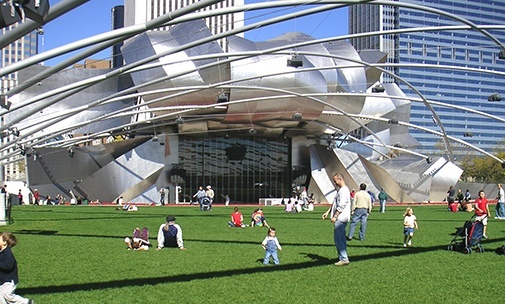 Located at the northwest corner of larger Grant Park, Millennium Park is home to Chicago’s most beloved works of public art, including Cloud Gate, The Crown Fountain, and the Pritzker Pavilion. Experience the excitement and history of Navy Pier, one of the most iconic attractions in the Midwest. Marvel at the breathtaking design and natural beauty of the brand new Chicago Riverwalk. When the Buckingham Fountain was built in 1927, it was the largest fountain in the world. Now the centerpiece of Chicago’s famous Grant Park, the fountain attracts crowds from all over the world to see its stunning light and water shows. Grant Park, lovingly known as “Chicago’s Front Yard,” is a waterfront park located adjacent to the Loop. Grant Park host some of the Windy City’s biggest culture festivals including Lollapalooza and Taste of Chicago. The Field Museum of Natural History is one of the largest museums in the world, famous for its expansive specimen and artifact collect. It’s also home to T-Rex Sue, the biggest tyrannosaurus rex ever fully recovered. Shedd Aquarium opened in 1930 and is now home to 32,000 aquatic animals. It is one of the largest aquariums in the country, and the first inland museum to house a collection of saltwater fish. Built in 1924, Soldier Field is the oldest NFL stadium in the United States. During the American football season, it’s the home of our roaring Chicago Bears, but the park also hosts some of the city’s biggest concerts in the spring and summer. Northerly Island is a nature preserve located on the peninsula of land south of museum campus. Now in its early phases of natural development, the park will one day offer canoeing, bird watching, fishing, and camping for all to enjoy in downtown Chicago. 12th Street Beach is a hidden gem of the South Loop. White sands, clear blue freshwater, and close proximity to Northerly Island make this beach on of the Windy City’s best kept secrets. The Adler Planetarium is the oldest planetarium in the Western Hemisphere. It boasts three full-sized theatres, rotating space science exhibitions, and an extensive collection of space science instruments and materials. 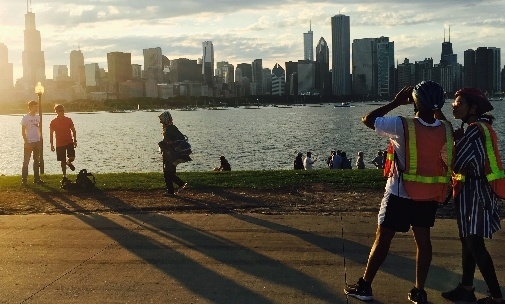 The 18-mile Lakefront Trail has been contributing to Chicago’s cycle success since 1963. The paved path provides walkers, runners, and bicyclists with a safe and fun way to travel along the Lake Michigan, for both recreation and commuting.